So, what are business grants? Business grants are cash awards which are won by local governments and organisations. These are offered to entrepreneurs who are launching/launched new businesses and are in need of cutting costs to aid their business progression. However, just like creating a series A funding proposal, you also need to make a presentation explaining why you should receive a grant for your business as well. There are usually entry requirements and conditions varying between each business grant. Entry requirements may range from the type of business and its wider impact in society, conditions may involve giving away equity, paying back with no interest or not having to reimburse the amount. This all depends on the specific grant terms and conditions, so it’s important you thoroughly research the scheme before you apply. It’s important to remember that the process of the applications also vary, as organisations and governments giving away a larger sum may require you to be involved in a longer application process. Competition for these grants are tough and require a lot of effort and time, you must remain motivated with your goal of gaining a financial boost for your new company. What type of business grants are available for me and where do I look? Government Business Grants – The UK government (Scotland, Wales and N.I grants are also available) have multiple grants on offer, you can search for these grants using the UK’s governments finance and support finder tool. Local Business Grants – These cash rewards are granted by local authorities and organisations who look for a local business which they can aid. European Business Grants are also available for business based around the EU, they can be found on the European Structural and Investment Funds website. Due to the UK leaving the European Union and the European Commission warning that funding in UK business will soon come to an end, these grants would no longer be advisable for businesses in the UK o apply for. The majority of these grants will come with requirements which need to be met by the business in order to be considered, this will allow you to pick the right one for your business. Examples of eligibility criteria’s may include the location of your business, the number of employees you have or the purpose of your business and the industry you’re trying to launching yourself in. Finally, how do I start applying for a business grant? Thoroughly read the grant requirements and objectives – Spend your time learning about the objectives of the scheme and what type of businesses they are appealing to. After choosing a potential scheme for your business, make a list of the schemes objectivity and match them with your business, if they align, this may be the one for you. Create your amazing business plan – A huge part of the grant consideration will depend on how clear your business plan is. This is a chance to really impress the awarding body, make sure your account for the company’s history is clear and you outline why you need the grant and how you’re aiming to use the money. Check your funding – Remember, grant bodies will look to match the amount you’ve already invested in your business. Apply as soon as possible – You have a better chance of winning a business grant if you apply as early as you can because some schemes run on limited pot money, this, however, doesn’t mean you should rush the application process or you will fall into an unfinished or unprofessional application. Have patience – The application process can be long winded and the time between you submit your application and hearing back from the awarding body is unpredictable. Local organizations tend to process the applications faster than larger awarding bodies, but even then, the waiting time can take months. Have patience, it’s worth the wait. Our company specializes in helping startup owners achieve higher chances of receiving government-based grants in order to take their startup to the next level. For most business owners, having the opportunity for their companies to be backed up by the government is a great thing due to the fact that they are now backed by huge established institutions and that creates perceived credibility in the eyes of shareholders and the market. 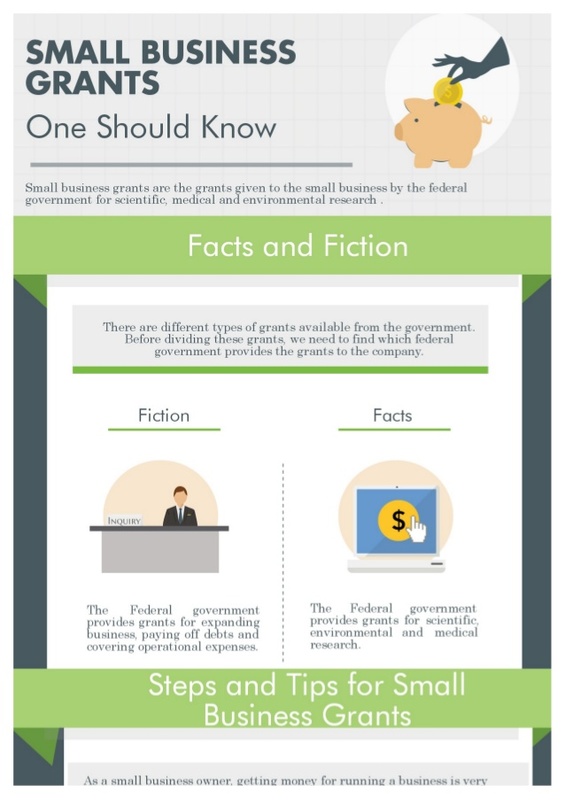 To learn more about government grants and similar topics such as how much series A financing you need for your business.